NEW!! Read the Blackberry Blossoms Story in the Green Woman Lore. You're Invited to explore ! ~ Find out About White Original Statuary. ~ How to place an order. 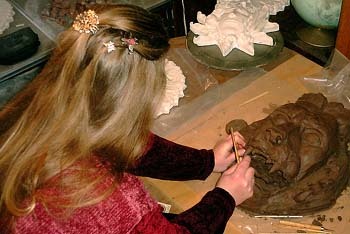 ~ Read The Statue Making Process, and see more on the Statue Making Process Illustrated Page. ~ Tour the gallery. Enjoy the stories behind the art. ~ Get a list of venues, galleries & shops carrying White Original Statuary. ~ Here's my itinerary, my schedule of shows. I'd love to meet you ! After you read about it let's talk. I am pleased to explain my art and describe my process to you. My name is Josie White. I am a sculptress, statue maker, and owner of White Original Statuary. My statue making process produces pieces that are consistently mistaken for ceramic yet bear the weatherproof and lasting strength of my medium. I started making concrete statues because I wanted to preserve my clay sculpture in lasting form. Properly made concrete statuary lasts centuries. Concrete statues exist that are over 2000 years old. The challenge of sculpting, producing high quality statues, and owning my business brings me deep contentment and joy. 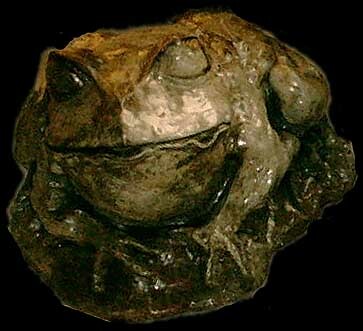 I am dedicated to customer satisfaction in my products and am anticipating establishing public confidence with my distinct art and business ethics: unique, detailed statues at reasonable prices. I live in Goldendale, Washington, in the Simcoe Volcanic Field 10 miles from the awesome Columbia River Gorge. The geology and landscape influences my art. The local volcanic field has little shield volcanoes, big continental folds, and more than 5 dozen cinder cones. I hand select local materials for my concrete aggregates. Recipes for White Statues are as unique as their forms. Cinder, crystals and erratic stones from the Simcoe Volcanic Field and Columbia River Gorge are not used by any other statue maker in the world to my knowledge. 1. Sculpting - My approach to sculpture is methodical. I focus on detail to bring forth concept - the "ah-ha" idea behind the form. First, I get excited about a concept. I research my subject carefully. Next, I assemble preliminary forms such as sketches and rough sculpture. 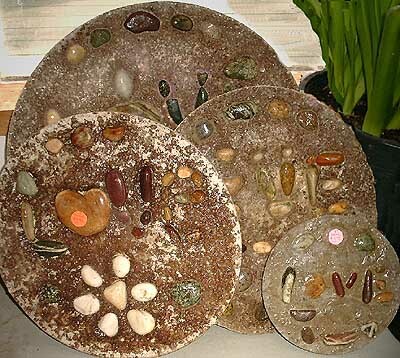 Finally, I sculpt in some media, usually sculptor's clays and waxes. Many of my tools I build myself, including armatures. 2. Mold Building - Natural rubber from the plantation, plaster, urethane foams, metals, and plenty of other stuff is used in mold building. Each sculpture requires its own approach to mold type and materials. 3. Casting Statues - Why is most concrete statuary plain gray? Because it's cheaper and easier to make. 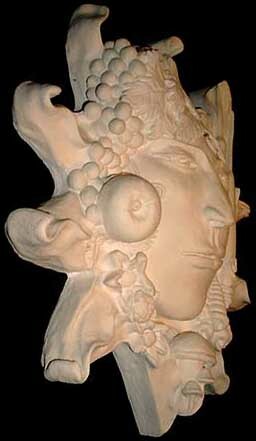 White statues are made with various cements and aggregates, stains and pigments. We follow strict concrete curing procedures yielding products of conspicuous craftsmanship unlike the appearance of mass produced, plain gray statuary. 4. Finshing Statues - I chase out flashing, preserve fine detail, brush and sand to reveal aggregate color and texture, and finish with any of several tough stains or marine grade spar urethane finishes. Since I finish them carefully, people consistently mistake these concrete statues for ceramic or pottery. People Notice The Difference between statues they see at big outlet stores, and my unique hand made statuary. Please see Statue Making Process Illustrated Page for more. Thank You for your interest in my art. Please enjoy the website. I look forward to providing you with the best statuary you can buy anywhere.